Are you in the area of Sutton and have been searching for ‘mini skip hire near me’? 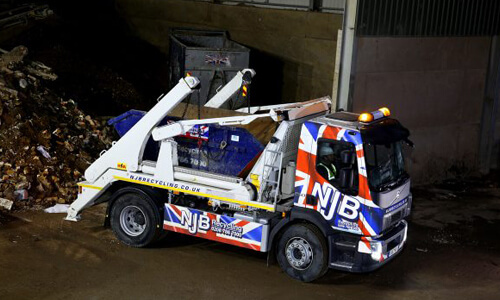 NJB Recycling are here to end your days of searching. We are the top company for mini skip hire in South London. Whether you want to rent a skip for a week or two or just want to hire a skip for a day, we provide the best quality services and skips. Our cheap skips offer high-quality local services to anyone in the area of Sutton and other areas in South London. Looking for an affordable rubbish skip in Sutton can be difficult, however, NJB Recycling aims to put an end to this problem. Our same day skip hire services ensure that you can get your rubbish removal process finished efficiently and effectively. Enquire or call today on 02087867000 to have a skip lorry with you today! We offer the best small skip hire costs and the best mini skip hire costs in the area of Sutton and South London. Our same day skip hire services are rated extremely high by our previous customers. The efficiency that we provide is the best you can get in the area that is within your budget! Prioritising the environment is always of huge importance to us. That is why we always ensure that we recycle at least 75% of waste that is collected. 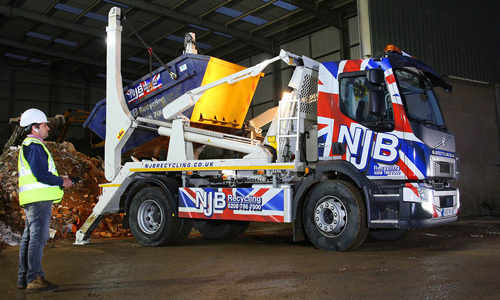 NJB Recycling understand your situation; you want to clear some rubbish efficiently without spending a fortune on skip hire. Are we correct? Good, because you are in the right place for cheap mini skip hire. Our unmatchable affordable prices come with immaculate customer service that our existing customers love! So, if you want a cheap skip for hire along with a trustworthy company, hire a skip with us today. What are you waiting for? Your low-cost skip bin is ready to be with you today! Call us now on 02087867000 to get your skip delivered on the same day. If you would prefer, you can also enquire on our site! Our small skip hire prices are the best in the area! Our small skips and mini skips come in sizes of 2-yard skips, 3-yard skips and 4-yard skips. Small skips are the perfect assistant for any domestic and smaller scale projects. Are you looking to complete a home clearance project? These skips are the perfect choice for anyone local to the area of Sutton. 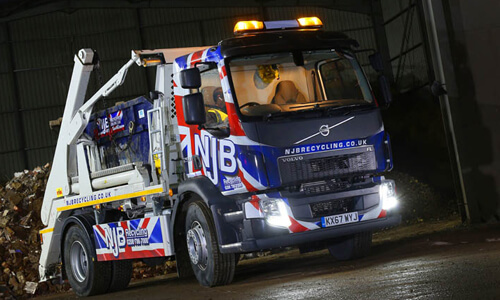 Our skip lorries will be with you the same day that you call as long as you call within the appropriate hours!